In this episode, Mr. Todd Rodal, Social Studies teacher at Pulaski High School, realized he wanted to be a teacher after a volunteer coaching stint. There are certain groups of people that he loves hanging out with for eight hours every day! Find out who they are. If Mr. Rodal could work in one other area it would be physical education. Reason? Something you may be able to relate to! His children are his main focus when he leaves our school. His bucket list actually includes twelve items! Find out where he wants to go! Why Are We Creating Podcasts? Our AP Environmental Science teacher will be listening to and creating podcasts in May 2017 based on an item of interest. I needed to understand the workflow and found a purpose: introducing our great staff to the world! Discover the details! 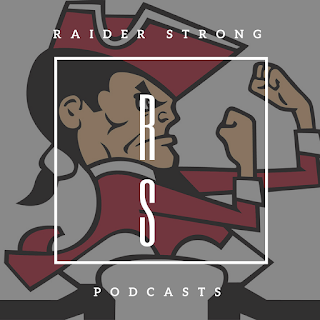 Do you want to be interviewed (It Takes Five Minutes) or know someone in the #RaiderStrong community that should be interviewed? Email me!